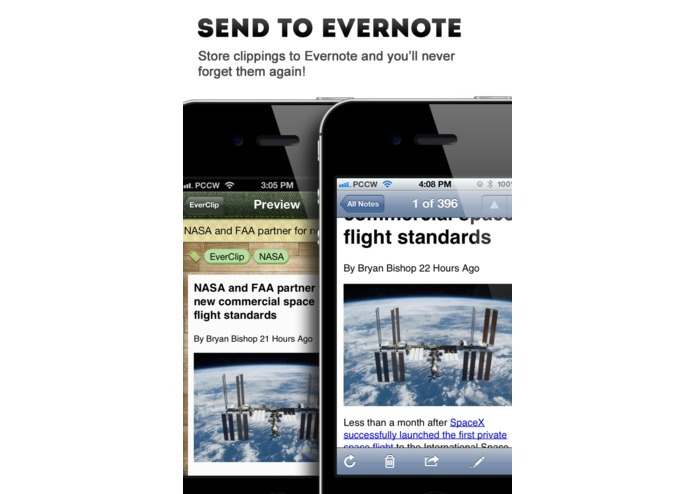 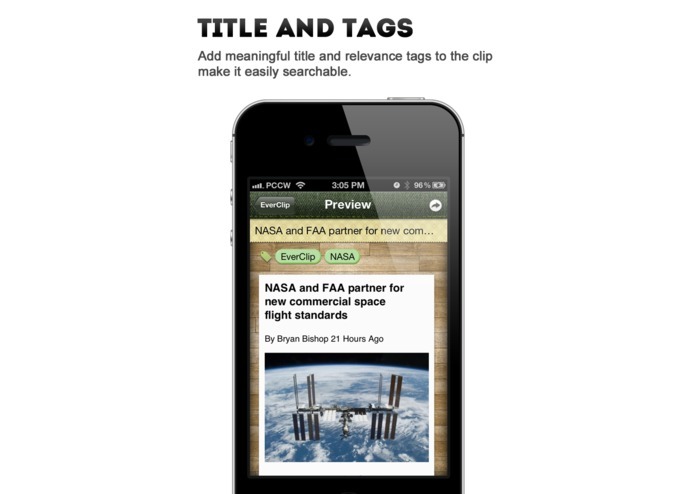 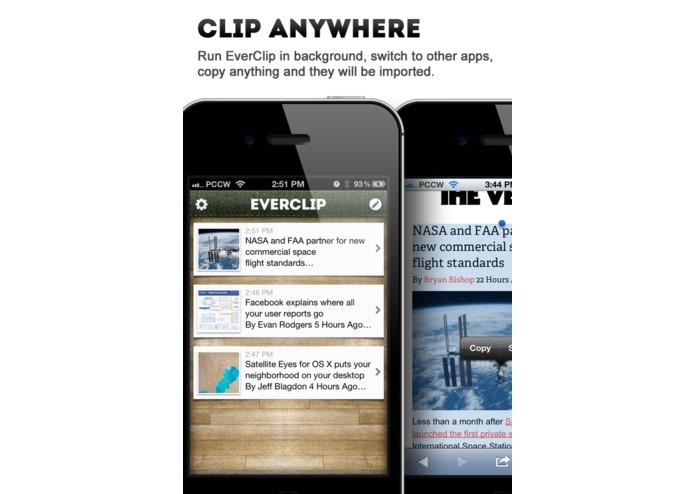 EverClip is the easiest way to collect websites, texts and images to Evernote. 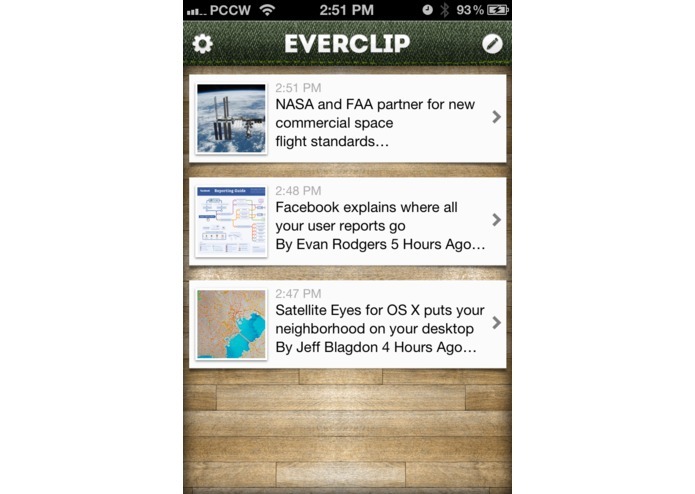 When you finish your work, return to EverClip. 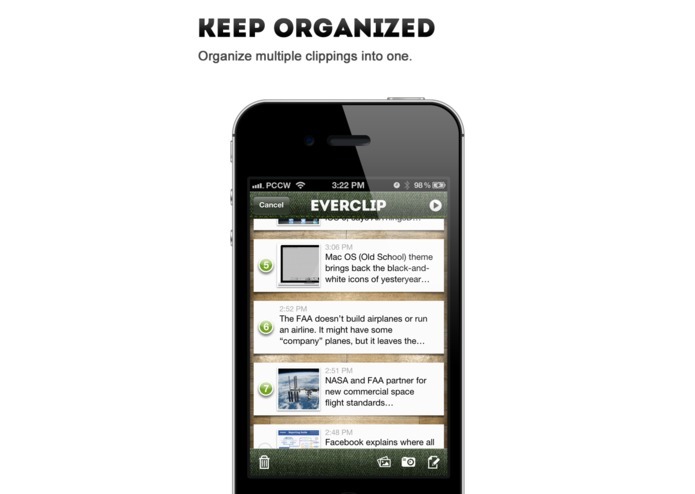 Organize clippings freely and send them to Evernote.